With ECCC around the corner Rick and Piper decided to discuss some of the ECCC Convention Exclusive Rumors that leaked all across the Funko Community this week. They also discussed Colonel “Freakin” Sanders, Movie Spoiler Pops, sick family member, a little wresting, and new HBO Shop Exclusives (Please not the Metallic Children of the Forest). Join the team next week when they discuss ideas, opinions and dreams of what Funko should deliver at ECCC 2019. PCA Fan of the Week is Todd K! Congrats! We will ship you a Prize Pack Full of PCA Goodies! Auction and Live Stream on Friday 2/1/2018 @ 8:30PM CST. Pop! Will be announced on our social media channels and auction will be held LIVE!!! All invoices must be paid within 5 days or item will be forfeit and placed in next auction. Also visit Mandrill Toys and Collectibles for amazing deals on great products! They have tons of London Toy Fair announced Pop! up for preorder. Use code PCAFIVE for a 5% discount. ECCC Support Raffle: Each dollar you donate equals one entry into the Grady Twins Chase 2.0 Raffle! Check out our site for details. The post EP047 – The Road to ECCC 2019 appeared first on AstroPanda. 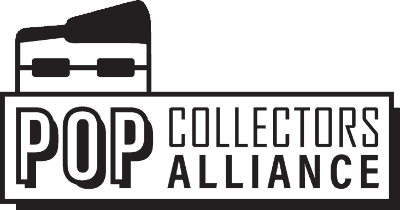 I am the Associate Editor and one of the main writers for the Pop Collectors Alliance. I also act as the magical and mystical Social Media Coordinator. I love graphic design, owls, sushi, and my amazing Disney Pop! collection.